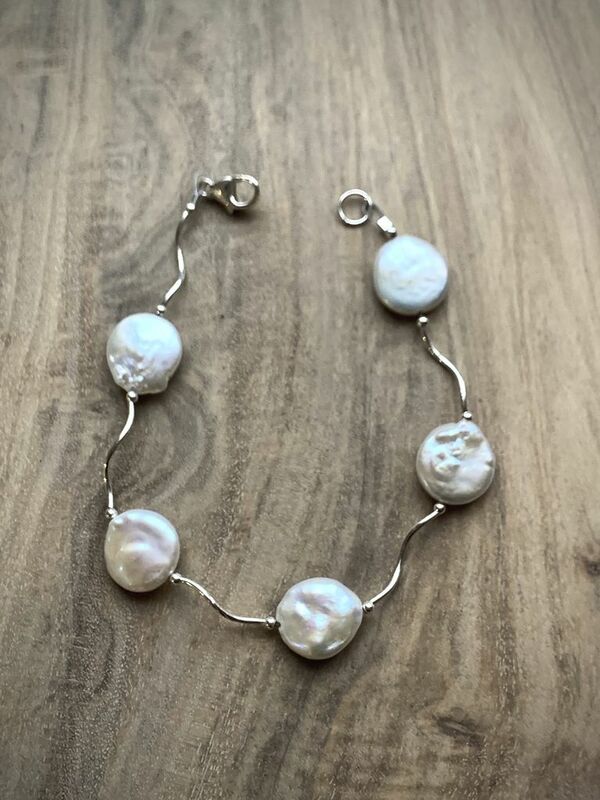 Natural coin pearls set in a squiggle sterling silver wire bracelet. The bracelet is approximately 7 inches long. 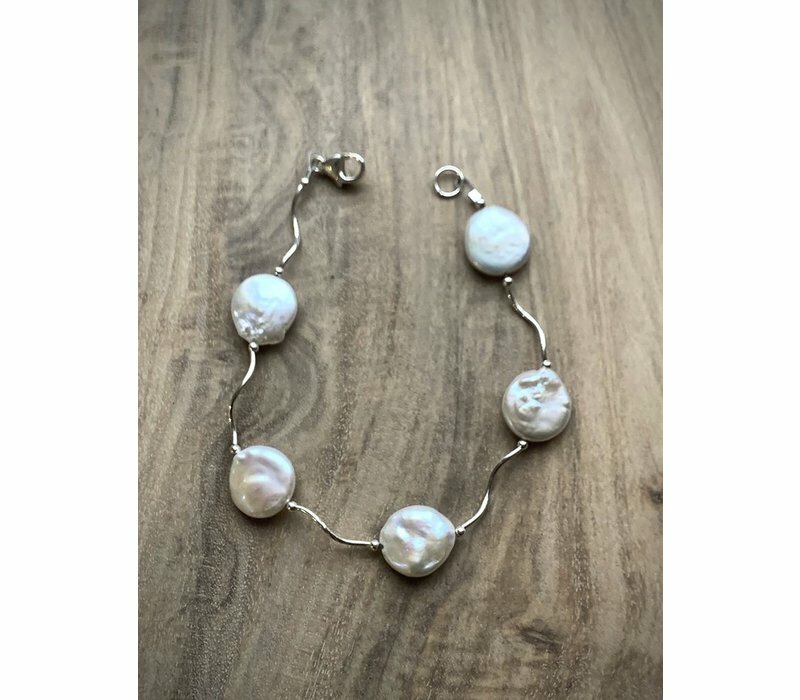 This is a one of a kind piece.